Michael Fassbender steps in and out of the dark to serve the light in the action-packed epic movie “Assassin’s Creed.” The universe of “Assassin’s Creed” puts the audience in the middle of an ancient war between two age old factions; the Assassin, who fight to protect free will among the populace, and the Templars, who aspire to impose a New World Order. Throughout history, these two groups have been fighting for the fate of humanity. In the present, the Templars are close to realizing their dream of dominion by using ancient artifacts (created by an extremely evolved First Civilization) known collectively as Pieces of Eden. Among other things, these artefacts have the power to optimize the human mind. Adapting “Assassin’s Creed” for the big screen, the movie introduces a new character to the established canon; Cal Lynch, played by Michael Fassbender. A descendent of several lines of prominent Assassins, Cal is a career criminal who is rescued from his own execution by Abstergo Industries, the modern-day incarnation of the Templar Order. He is forced to participate in the Animus Project and relive the memories of his ancestor Aguilar de Nerha, an Assassin during the Spanish Inquisition. As Lynch continues to experience Aguilar's memories, he begins to gain an understanding of his traumatic past and his role in the centuries-long conflict between the warring factions. As one of the video gaming industry’s most popular and beloved franchises, Assassin’s Creed is famous for its heart-pounding action sequences. The series was among the first to prominently feature Parkour as a major gameplay element, with Assassins breathlessly vaulting over the rooftops of cities including Jerusalem, Florence, Paris and London. 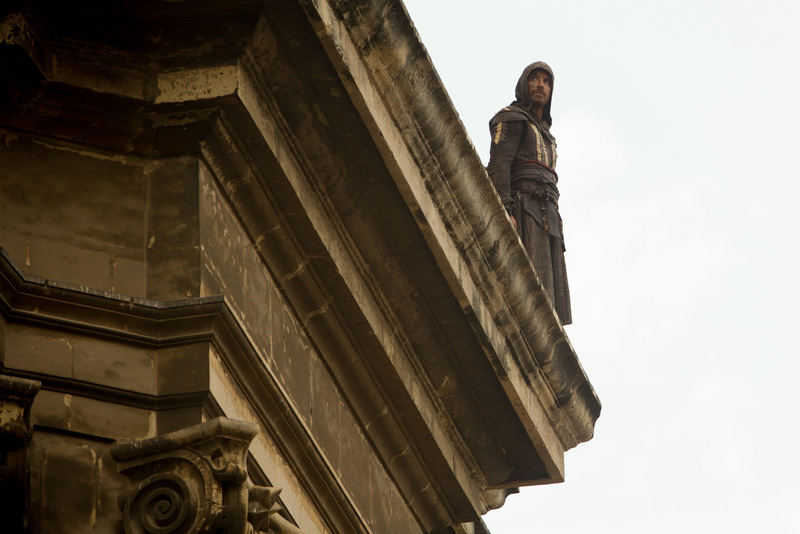 Director Justin Kurzel and his team tapped some of the top Parkour talents to determine how to stage the action of Assassin’s Creed without relying on extensive CG trickery. The production then travelled to some of the most visually stunning corners of the globe in the hopes of capturing one-of-a-kind sequences that would offer viewers an immersive—and realistic—experience. “Assassin’s Creed” opens nationwide on January 4 in almost 200 screens nationwide from 20th Century Fox to be distributed by Warner Bros. – Metro Manila, Cebu, Bohol, Davao, Iloilo, Bacolod, GenSan, Cagayan, Zamboanga, Cavite, Bulacan, Laguna, Batangas, Baguio, Bicol, Palawan, Pampanga, Bicol, Isabela, Nueva Ecija, Quezon, Subic, Pangasinan, Bataan, South Cotabato, Iligan.